In April of 1999, I felt the call of Jesus Christ upon my life. It was both subtle and blatant, like the peace inside the eye of a hurricane. I could in no way resist and I in no way understood what would become of my life. 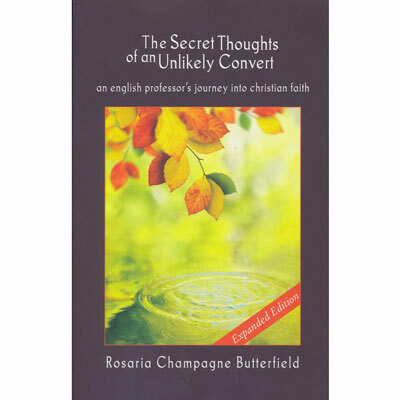 Rosaria Champagne Butterfield Rosaria is a former tenured professor of English at Syracuse University. After her conversion to Christianity in 1999, she developed a ministry to college students. She has taught and ministered at Geneva College and is a full-time mother and pastor’s wife, part-time author, and occasional speaker.